Francis Lombardi of Foxtrot Sporting in upstate New York sent me these photos of an amazing double he has for sale. I don't know the specs but you can call Francis at 315-373-5850 for the details and also visit his website. 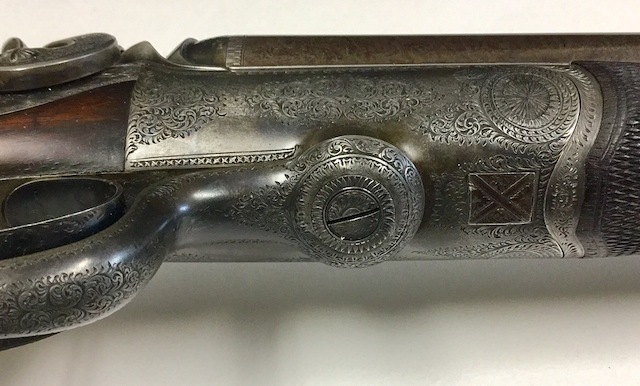 (I just purchased a .577 Manton bpe from Francis and enjoyed very much doing business with him). All I know is in the title--a Newton .500 bpe. Look at the engraving and the wood to metal fit! 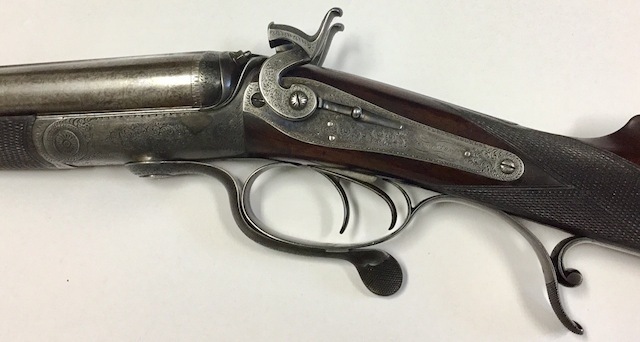 These old timers could teach a lesson or two to today's "gunsmiths!"